Third party call center QA based out of Scottsdale, Arizona can help ensure your call center is providing customers with exceptional customer service. But, that’s not the only benefit third party call center QA offers. It can help ensure your call center is in compliance while also alleviating some of the pressure on your managers and supervisors. Plus, you’ll have the benefit of having a team of experts on your side to help you achieve your goals. More than just a third party call center QA provider, Sage Advantage offers a variety of tools and services to help you meet your goals. After all, third party call center QA relies on data and the ability to listen to call to work. Our call center recording service allows you to keep all your information in one system. Instead of having one system for phones, one for analytics, and another for storing your calls, consider using our call recording and services and our software platform. Our software platform is an SAAS program, so no downloads, uploads, or extra equipment is needed. This cloud based software allows you to store everything you need in one place. We designed this software to hold a large amount of data, but still be easy for you to navigate. In addition to providing third party call center QA services, Sage Advantage also offers coaching services that benefit both your representatives and your managers. Your dedicated team of call center experts will conduct group reviews in which they’ll give managers feedback. They can also help determine action plans and provide coaching for managers when they go to work with representatives. Gaining insight into your customers is essential when it comes providing quality customer service. Though third party call monitoring QA helps ensure customer service, it is also helpful to get feedback from the customers themselves. Sage Advantage’s survey product is a great way to do this. By getting the questions to your customers while the transaction is still fresh in their mind, you can feel confident you are getting candid feedback. We also offer a variety of ways to send the survey such as email or while they are on the phone. 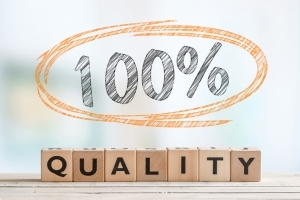 Combing third party call center QA with our survey products can help you get a fuller picture of the level of customer service your call center is providing. Scottsdale, Arizona based company Sage Advantage is more than just a third party call center QA provider. We are a part of your team. We work with you to determine your goals and help you reach them. To learn more about our services, or to schedule a free demonstration, be sure to contact us today.